Keeping fit is important for your well being as well as being a great way to keep stress levels down. 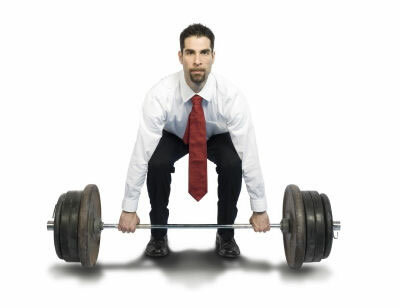 Fitting exercise into your work day can be a difficult task, but is well worth the effort. Decide what type of fitness training you would like to do – power walking, yoga, jogging, swimming, or a mixture. Even a short walk will do you good – try getting off a stop before you need to and walk the rest of the way, run up the stairs instead of using the elevator and take a walk in the park at lunch time instead of sitting hunched over your desk. As far as gyms go, there fitness classes for all abilities, with times to suit office workers. You could take a pre breakfast yoga class, a lunchtime spinning class or go for an after work weight training session. If your office building has its own gym you could come into work a little early and spend twenty minutes using the facilities. It doesn’t have to be long and drawn out. You will start to feel the benefits of your new exercise regime very quickly. You will be more alert, feel energized and your general well being will be improved. Exercise lowers the risk of high blood pressure and heart disease, boosts your immune system and can even help prevent depression, along with maintaining a healthy weight. Equinox has clubs in the Uptown, Midtown, Downtown and Brooklyn, Long Island and Westchester areas of New York. With classes ranging from Pilates, martial arts, cardio and yoga, starting from 6.30 am. Crunch has gyms located across New York City and offers a wide range of action sports, chill outs and dance rhythm classes. You can also have a personal trainer and tailor make your classes to fit you. Surge Fitness offers a personal trainer service along with nutrition counseling and massage therapies. Trainers are available for personal training in your office, home or gyms throughout New York City. Method Training offers personal training, yoga and wellness services along with Boot Camps. The personal training gym is situated in Midtown Manhattan and personal trainers are available for in-home training sessions throughout New York City. So why are you still reading this? Go get fit!